My top 3 values at Live Well Custom Homes are innovative Design, quality & value. Rick C. Merlini founded his home building company in 1982, and his award-winning portfolio features desirably located single family homes in Birmingham, MI. Whether building for the first time home buyer, the move up buyer, or the empty nester, Live Well Homes is committed to delivering superb design, quality homes, outstanding service, and timeless value. As Birmingham, MI’s only Woman Centric Matters builder, our team of new home professionals is dedicated to providing a stress free building experience that will exceed your expectations every step of the way! Take the time to view the innovative designs and features of our new homes and you’ll find out what others already know – Live Well Homes is a design leader. We’re known for our exciting interior and exterior features and the natural flow of our homes. Live Well Homes is committed to quality. We don’t just say it,we back it up with a multi-layered warranty! We can provide such a warranty because we use high quality building materials. After you move into your new home, our service department will meet with you as needed to make sure you are completely satisfied. 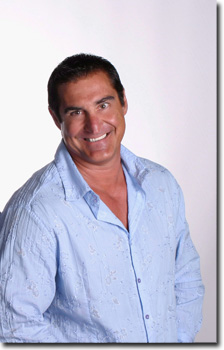 In August of 2006, Rick Merlini was chosen by ABC’s Extreme Makeover: Home Edition TV show to build a home for the Gilliam family in Armada, Michigan. Modifying one of his home designs, the home was completed with the help of over 2,000 trades and volunteers in a record setting 53 hours. The TV show was first aired on October 1, 2006. In July of 2008, Rick Merlini was chosen again by Extreme Makeover to build a home for the King family in Charlotte, North Carolina. The home was designed by Rick and featured a state of the art daycare center. This episode was first aired on October 19, 2008. Rick was chosen to build for the Gilliam family in Aramada, Michigan in 2006 on Extreme Makeover: Home Edition!